AZFJ › Forums › Arizona FJ Discussion › General Discussion › I SPOTTED YOU IN ARIZONA!! 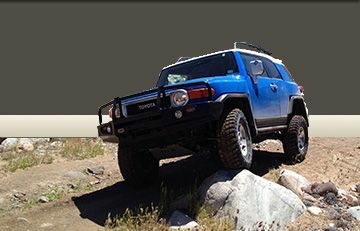 Forums › Arizona FJ Discussion › General Discussion › I SPOTTED YOU IN ARIZONA!! I SPOTTED YOU IN ARIZONA!! Posted: Fri Nov 30, 2007 12:29 am Post subject: I SPOTTED YOU IN ARIZONA!! Creating a Market where you can find Arizona Produce & Food in one place! Featuring Live Music and Seating to Relax! Support your Local Family Owned Business's! Posted: Fri Nov 30, 2007 12:36 am Post subject: Re: I SPOTTED YOU I AZ, DID YOU SPOT ME WAVING LIKE A MAD MAN!? You know this might need its own section... it will get big! Posted: Fri Nov 30, 2007 12:37 am Post subject: Re: I SPOTTED YOU I AZ, DID YOU SPOT ME WAVING LIKE A MAD MAN!? hah I know people love the spotted game. In other forums I've put it with the meetings section. I could certainly make a new section just for that if you guys want it! Posted: Fri Nov 30, 2007 12:40 am Post subject: Re: I SPOTTED YOU I AZ, DID YOU SPOT ME WAVING LIKE A MAD MAN!? To be honest with you, I've stopped waving. I'm tired of getting excited whenever I see another FJ and not having the wave returned. If I do recognize someone's FJ (like Katfish only because FH isn't that big), then I'll do a big wave! Posted: Fri Nov 30, 2007 10:12 am Post subject: Re: I SPOTTED YOU I AZ, DID YOU SPOT ME WAVING LIKE A MAD MAN!? This is why I need an AZFJ sticker. Since we are still looking like we just rolled off the lot and I have no idea when we will be modding it up. All I know is not soon enough! BTW how do you do multiple quotation on this forum??? I know Dan, I KNOW! Posted: Sat Dec 01, 2007 3:11 pm Post subject: Re: I SPOTTED YOU I AZ, DID YOU SPOT ME WAVING LIKE A MAD MAN!? I saw 2 Ti FJ's in Mesa today. 1 with a full DR lift and black rims, other with revtek spacers and big round lights on the roof rack. I can't beleive I'm a mall queen! wth! Oh wait I saw both of those rigs in department store parking lots...which is where I was...which makes me....oh heck!